The Tesco Hudl brand of tablets is one of the most loved in the world of budget slates - but it seems a third won't be produced by the UK's biggest supermarket. A year after the release of the Hudl 2, a spokesperson told Marketing Magazine there are "no plans" for a Tesco Hudl 3. That doesn't mean it won't be released eventually though. The spokesperson followed up saying there was "nothing planned at the moment" leaving it open to come back in the future. Tesco has famously been going through some tough times of late, so it's no surprise the company wants to kill off the tablet range and focus on the supermarket sector a little bit more. Plus tablets are now a much harder sell to customers as many are happy with the ones they've already bought. 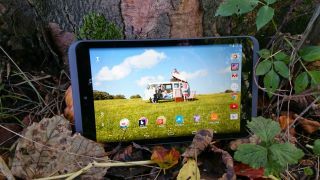 It's a shame we won't see a follow up to the Tesco Hudl 2 - it's still one of the best cheap tablets on the market.